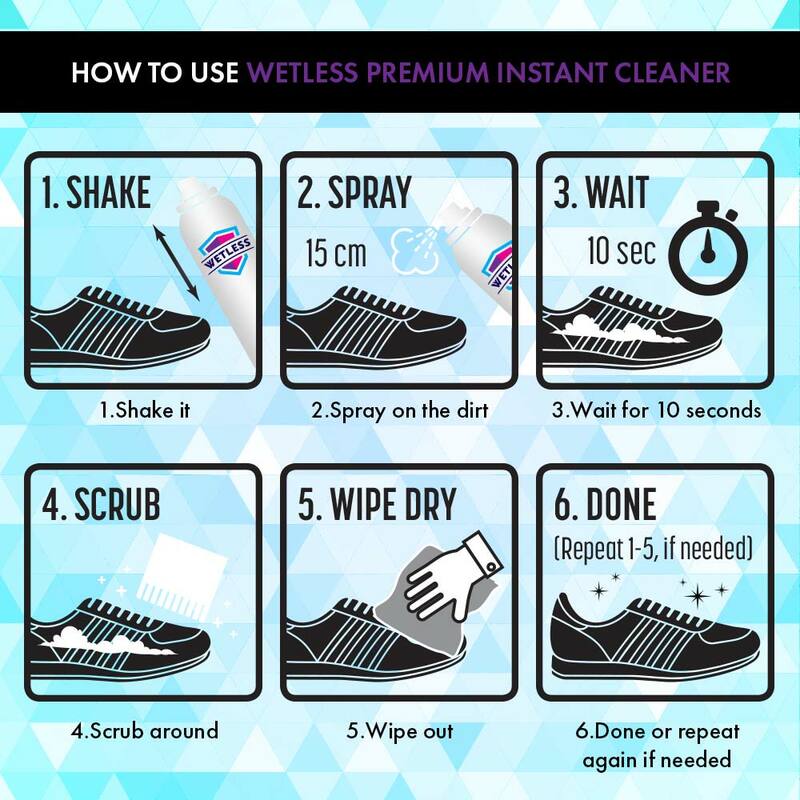 WETLESS Premium Instant Cleaner. The new EASY way to clean your belongings! and no messy residue. Just simply Spray, Scrub & Dry. No more unnecessary steps and no more wasted product. 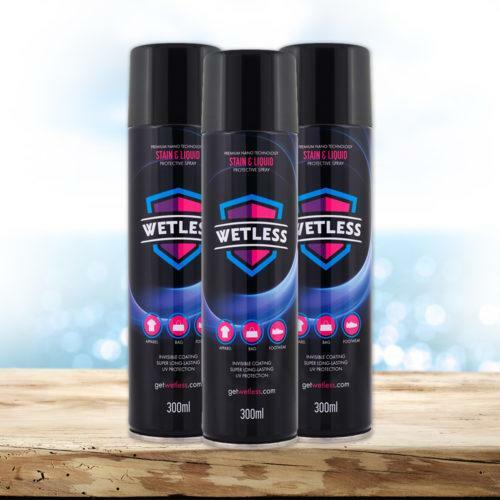 WETLESS revolutionized the way you protect your belongings! 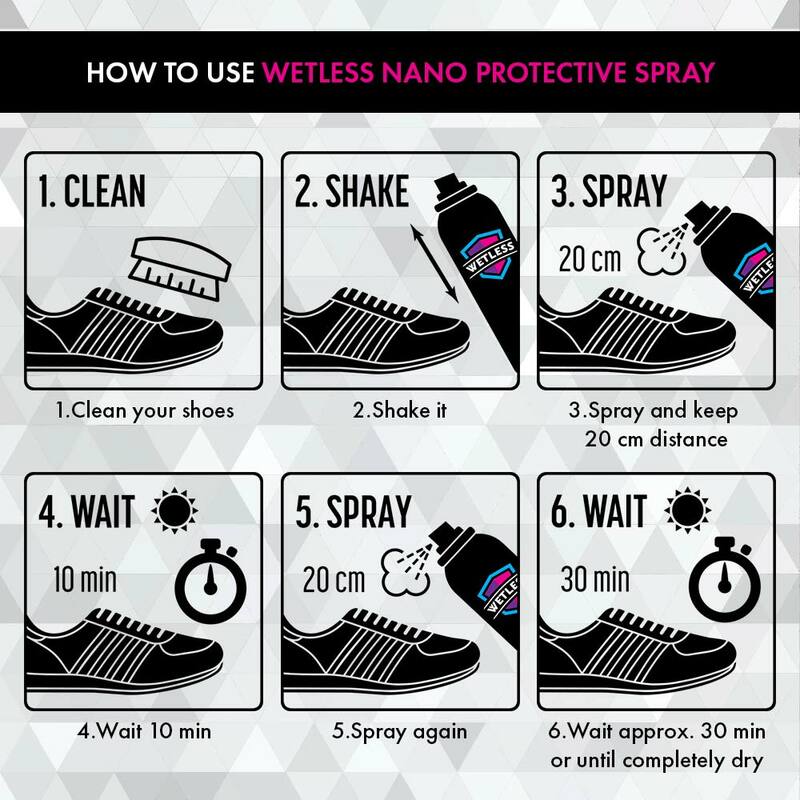 Powered by state-of-the-art Nano Technology. 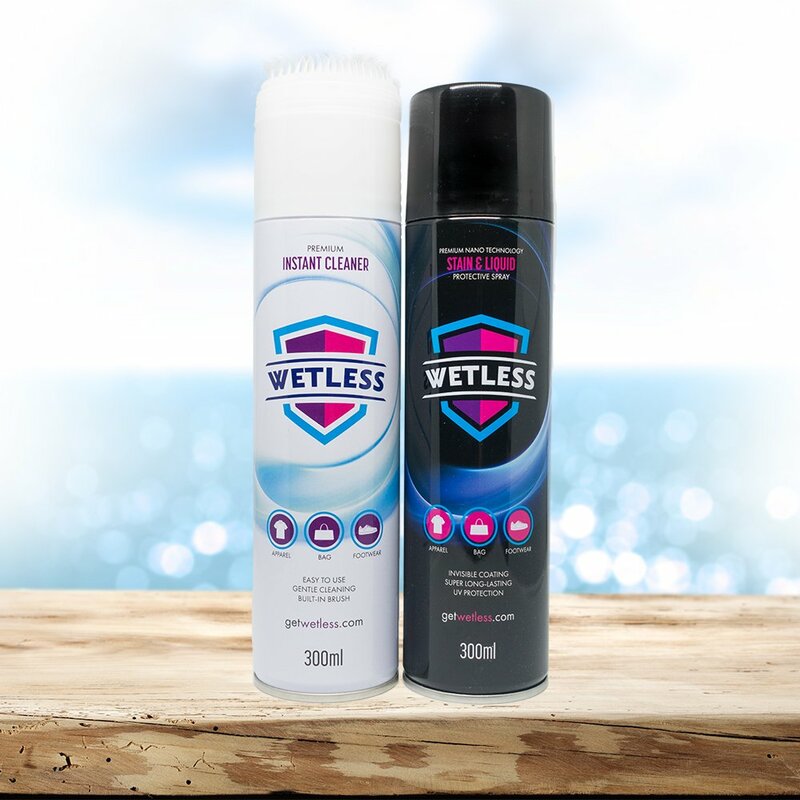 WETLESS’s nano protector penetrates the fibres and creates invisible Durable Water Repellent (DWR) barrier which not only prevents stain or liquid from spoling your belongings but also maintain their breathable qualities. 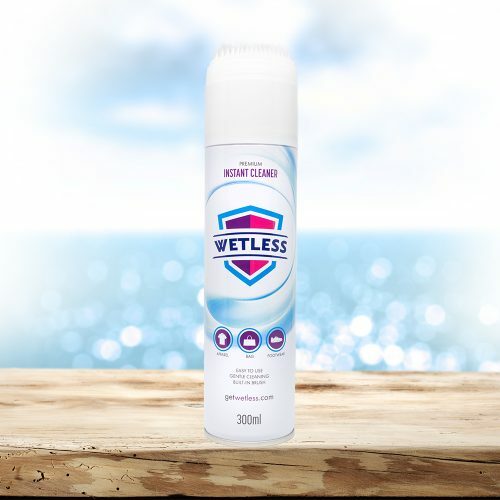 In addition, WETLESS has built-in UV filter helping fabrices stay like new and more durable.